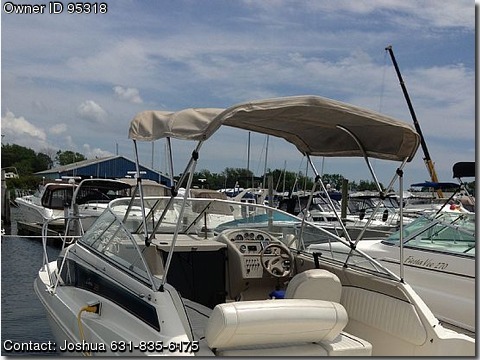 Call Boat Owner Joshua 631-835-6175.
motor. 275hp, cruises at 32 mph. maintained at Leeward Cove Marina. aft queen sized bed, forward cabin with table. boat was out of the water, river never got over the bulkhead.